The government dismissed on Friday ‘misleading’ news report carried by a section of media regarding provision of any visa facility to Israeli citizens on arrival at Pakistani airports. 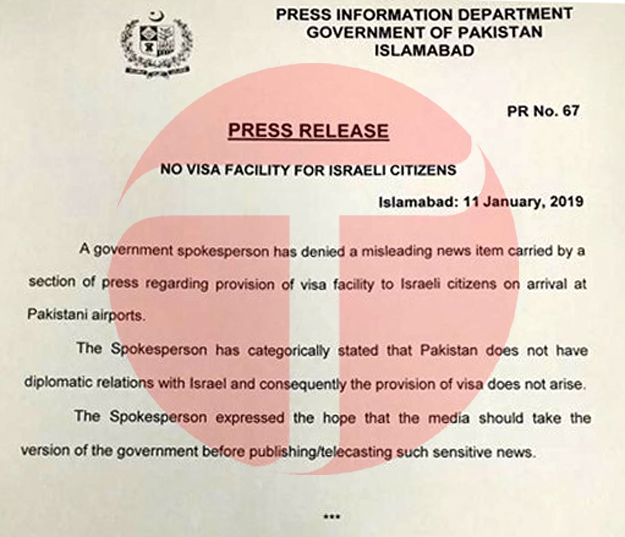 A government spokesperson categorically stated that Pakistan did not have diplomatic relations with Israel and consequently the question of providing visa did not arise, Express News reported. He advised the media to carry the version of the government before publishing and reporting on such sensitive news. On December 31, the Directorate General of Immigration and Passports conditionally allowed Israeli citizens to visit Pakistan, but the director blamed the interior ministry for the “mistake” and ordered “correction”. The Federal Investigation Agency released rules and regulations for citizens of seven countries for visiting Pakistan which contained the names of India, Bangladesh, Bhutan, Nigeria, Somalia, Palestine, and Israel. 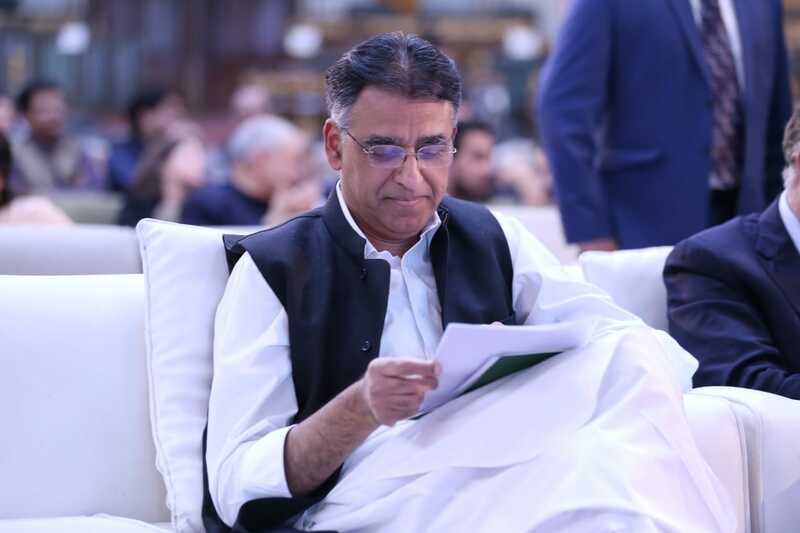 Immigration Director Ismatullah Junejo, later on, said that the list was issued by the interior ministry and that Israeli’s name was mistakenly included in the list. 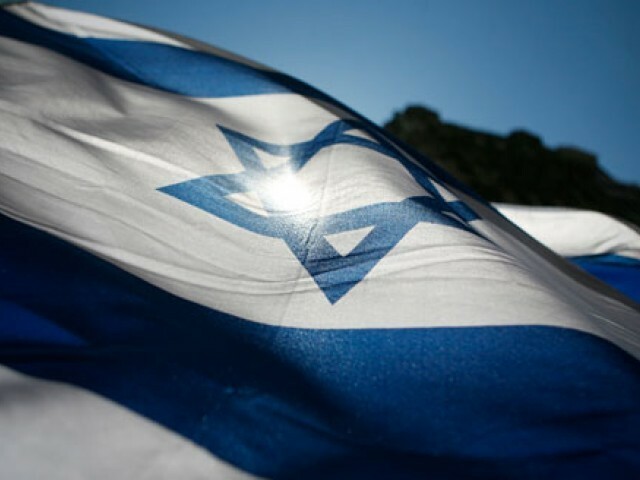 “Israel’s name is being removed from the list after it was pointed out by the media,” he added. Junejo further said that Pakistan’s state policy vis-à-vis state of Israel is very clear. Pakistan has not recognised the state of Israel and Pakistani citizens cannot travel to Israel on a Pakistani passport.